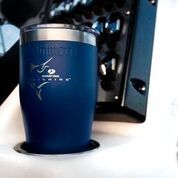 The Rover Tumbler keeps ice up to 36+ hours and hot liquids up to 12+ hours. The Chillski keeps your drink colder up to 10 times longer than a standard drink holder. These branded drinkware items are offered in five colors; stainless, white, seafoam, light blue and royal blue. The drink holder fits a 12-ounce can or bottle. Suggested retail price is $19.99 - $29.99. The Mossy Oak fishing logos that are available are Bass, Trout, and Marlin. 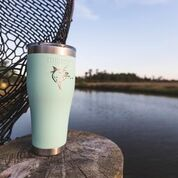 Mossy Oak Fishing drinkware is in stock and ready to ship at mammothcooler.com, and will soon be available at leading retailers nationwide including convenience stores, grocery stores, sporting goods stores and mass merchants. For more information on Mammoth Coolers, visit https://mammothcooler.com/. Mammoth Coolers is out there in the field, on the water, at the tailgate party and in the backyard learning what works and what doesn’t so we can make all our products work for everyone. Every innovation we make is driven by a desire for performance, price and productivity. From our superior coolers to our Chillski, from our Rover tumbler to the Tusk, all our products were made for every person no matter their passion, no matter their interests. All backed by a Lifetime Warranty.